Canada/Ottawa: The Canadian Food Inspection Agency, an Ottawa, Ontario-based health and safety regulatory authority, recalls certain batch/lots of Vienna Flat Bottom Rolls and Cara brand White Dinner Rolls due to suspected metal fragment contamination and consequential risk of choking, oral injury, internal ingestion and GI tract laceration damage, all serious health and safety hazards. Canada/Ottawa: Tartine Tarts, a Burnaby, British Columbia establishment, recalls certain batch/lots of Tartine Tarts Loving Pastries branded Shepherd’s Pie products due to suspected risk of metal fragment contamination and consequential risk of choking, oral injury, internal ingestion and GI tract laceration damage, all serious health and safety hazards. 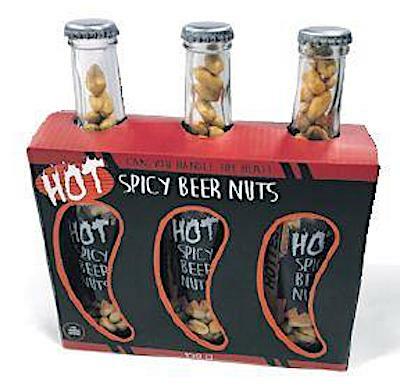 Australia/Canberra: Target Australia Pty Ltd, a Williams Landing, Melbourne, Victoria establishment, recalls certain batch/lots of Modern Gourmet Spicy Beer Nuts due to suspected Glass Fragment contamination and consequential risk of choking, oral injury, internal ingestion and GI tract laceration damage, a serious health and safety hazards.